Founded in 1650, Sōsuishi-ryū Kumi-uchi Koshi-no-mawari was established by Futagami Hannosuke Masaaki. He was a samurai of Bungo-Takeda clan, who was undertaking a shugyō (修行) pilgrimage around Japan. A high-level practitioner of Takenouchi-ryū as well as his family art Futagami-ryū, he crystallised his understanding following an enlightenment (satori) experienced during a 37-day retreat on Yoshino Mountain. Futagami synthesised this knowledge into a system he called Sōsuishitsu-ryū, named after the twin streams of the Yoshino River. The First Inheritor was another Bungo-Takeda samurai, Shitama Matahichi, who became a close disciple of Futagami. His family has carried on the traditions of the ryūha, through 16 generations, until the current era. The lineage history of the Shitama clan is long and storied. Most notably, are the contributions of 12th Inheritor, Shingo Munetsugu Shitama and the Fourteenth Inheritor, Kibei Masanori Aoyagi. Shingo Munetsugu Shitama – the 12th Inheritor gave his life, fighting in the ill-fated Satsuma Rebellion of 1877. This rebellion pre-empted the Meiji restoration of that same year which ushered in the modernisation of Japan. Kibei Masanori Aoyagi – the 14th Inheritor, was a close friend of Jigoro Kano, Jūdō’s founder. 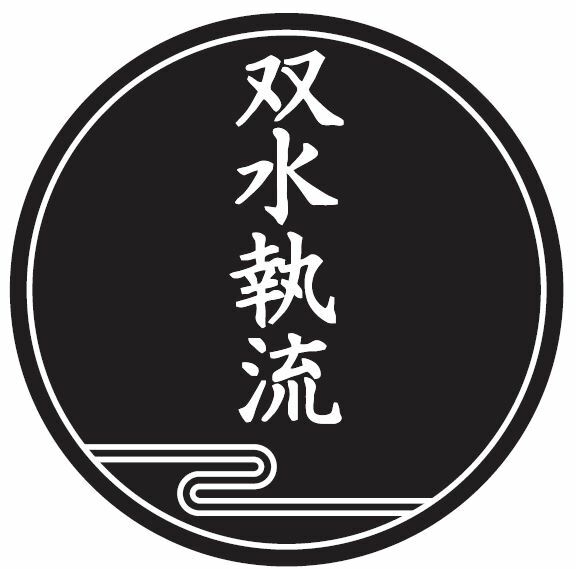 Aoyagi Sensei introduced Jūdō to the Sekiryūkan Dōjō, where it has been practised alongside Sōsuishi-ryū jujutsu ever since. 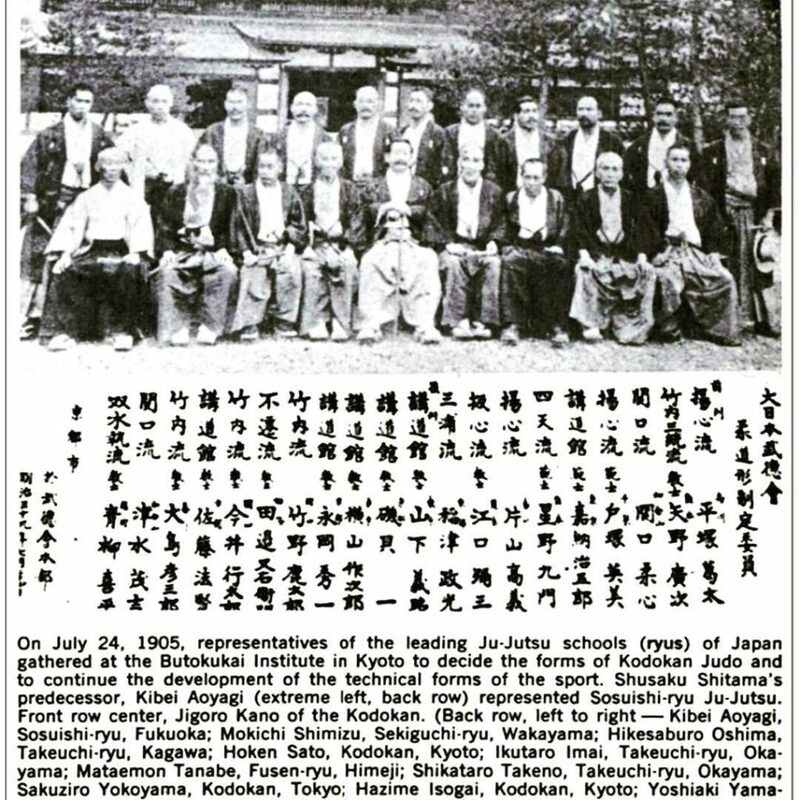 When Kano was formulating the formal kata of Kōdokan Jūdō he invited the top representatives of the jujutsu ryūha around Japan to contribute techniques from their schools. Aoyagi Sensei attended this meeting, which was held in 1905, where Sōsuishi-ryū’s contribution was accepted. The 14th Headmaster, Kibei Aoyagi, back row, far left. The 15th Inheritor, Shitama Shusaku, oversaw the expansion of the family art out across the world. He established the Sōsuishi-ryū Jujutsu Kai (SJJK) in 1963 in order to facilitate this. The current and 16th Inheritor is Shitama Manzo Dai Shihan. He is continuing to carry out his father’s mission, while preparing his son, Shitama Shusaku Sensei to become the 17th Inheritor. The headmaster of a ryūha literally IS the school. Full discretion in all aspects of the school sits in his hands and this is certainly true of Sōsuishi-ryū.